Samsung introduces world’s first TVs with 100% Colour Volume, HDR 2000 nits of brightness and one Remote Control and an innovative design solution called Invisible connection on New Delhi. Samsung Electronics today launched its flagship premium line-up of QLED TVs in India and showcased its innovative TV. 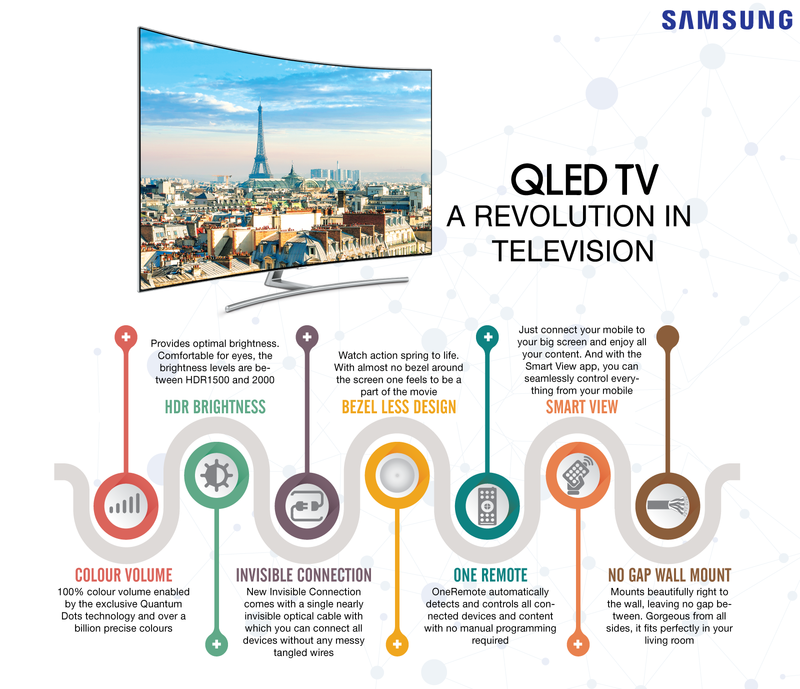 The ‘TV of Light’, a name given to Samsung QLED TV for its delivery of optimal brightness levels and stunning visual experience, is a new era of televisions and transforming the living room of tomorrow with its focus on the lifestyle TV concept. 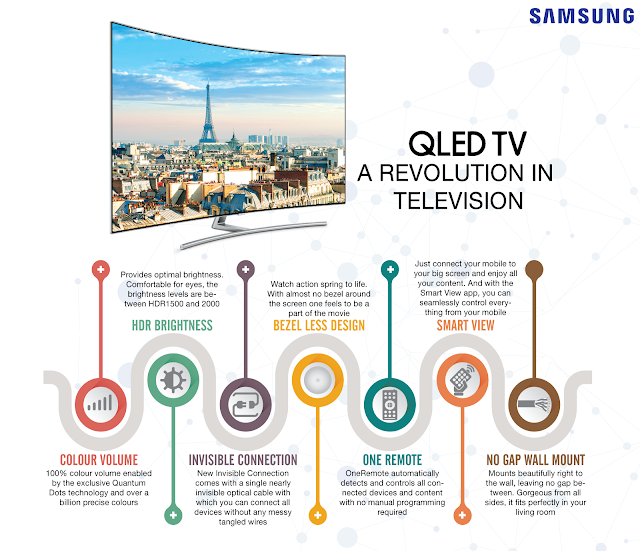 QLED TVs come with four global first innovations. They achieve 100% Colour Volume, the HDR 2000 functionality brings out hidden details, an Invisible Connection keeps your living room clutter free and One Remote Control offers an intuitive experience. The No Gap Wall-mount and the optional easel-like Studio Stand light up the aesthetics of your home. Fusing a slim, sleek and premium metal body with a nearly bezel-less display, QLED TVs set the tone for exceptional sophistication. The all-new Invisible Connection cable helps manage unsightly cords and clutter with a refined, single cord system. Consumers can now design their space with a single optical cable that brings all devices together, reclaiming the living room space once occupied by set-top boxes and external devices. 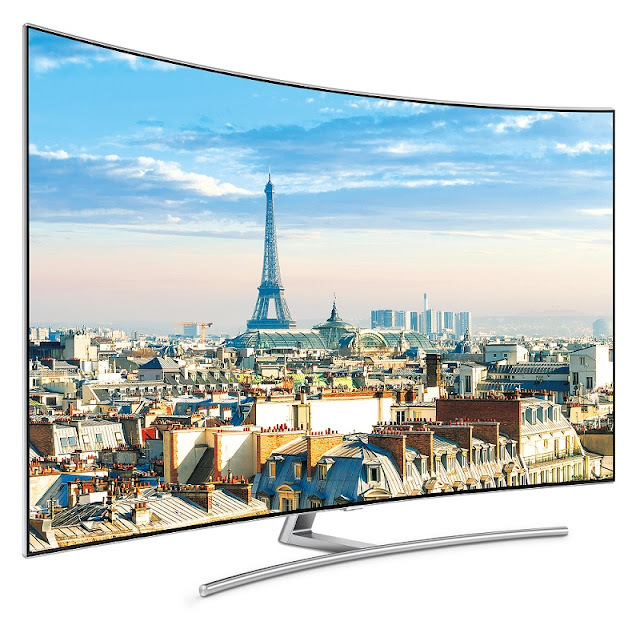 With the Samsung One Remote, consumers can control most connected TV devices with just one remote control. The enhanced Samsung One Remote now supports more devices and offers voice control capabilities across more Smart TV features. QLED TVs will be launched in three series, Q9, Q8 and Q7, in 55 inches (138 cm), 65 inches (163 cm), 75 inches (189 cm) and 88 inches (223 cm), starting May 2017. QLED TVs will be priced between INR 3,14,900 and INR 24,99,900 in India.